Harsh chemicals used in skincare may result in chronic irritation, leading to skin problems such as blemishesand premature aging. 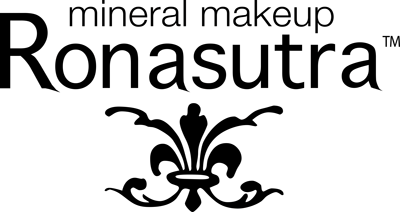 Ronasutra Skin Care uses themildest surfactants, and plant-based emmollients andemulsifiers. All the products are free from SLS, alco-hol, paraben, mineral oil and artificial fragrance.There is no harsh peeling agents, but yet you willdiscover skin that glows with health! Suitable for all skintypes, even the most sensitive skin. The unique combination of plant and marine activesused in Ronasutra has exhibited extraordinary results,comparable or even better than laser protocols in thetreatment of acne scars and pigmentation. Theseactives stimulate stem cell activity, resulting in increasedcollagen production and effective skin repair. See skinimprovements in as little as 3 days! This 3-step skincare is sufficient for all your skincaretreatment and needs. Use consistently day and nightand witness the revitalizing change in your skin! Cleanse away makeup, dirt, oil and dull skin cells with this unique 4-in-1 cleanser.This SLS-free formula is gentle yet effective on even the most sensitive skin.Non-drying yet leaves skin feeling clean and hydrated. Contains olive oil, yogurt extract and Fucoidan extract to encourage brighteningand skin repair. This unique synergistic blend of plant and marine actives give powerful andeffective results to transform your skin into a significantly fairer, brighter, smooth,hydrated and younger-looking skin. Contains marine Fucoidan and plant extracts to stimulate stem cell repair of theskin and for an overall revitalizing effect. Pump twice and apply after cleansing. Use day and night on face, eye areaand neck. This light moisturizer contains olive oil, herbal and plant extracts to brighten skinwhile vitamin A reduce the effects of skin aging and acne problems. Light and non-oily formula. Free from mineral oil, parabens, alcohol and artificialfragrance. 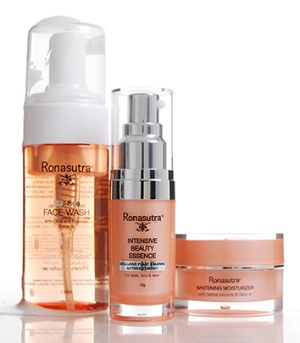 Use day and night after applying Ronasutra Intensive Beauty Essence.